The homemade bookmarks that Adeel Kara sells to raise money for the World Partnership Walk have a history – one that goes back two generations. 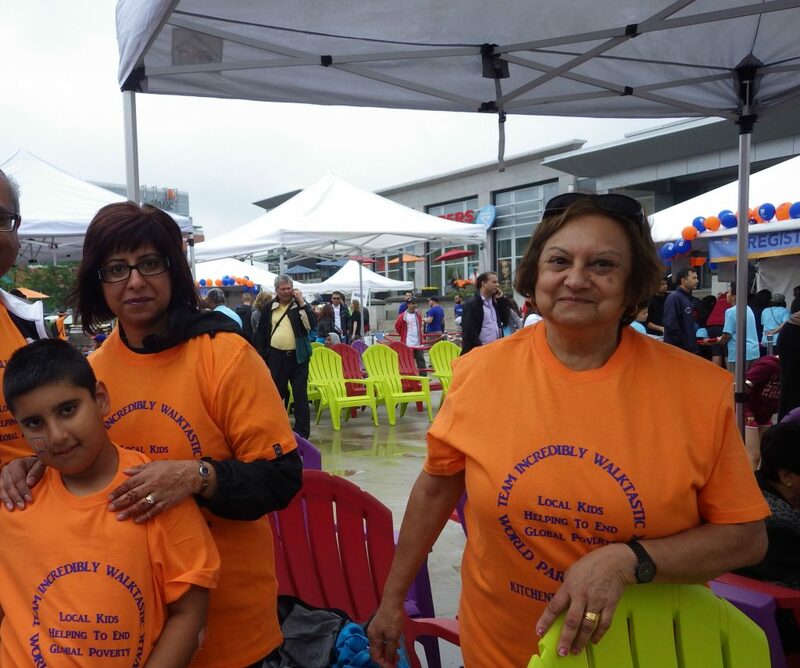 Every year, the multi-generational household comes together, including grandmother Yasmin, parents Ashif and Zohora, and Adeel. Throughout the campaign period and on Walk Day, the family rolls up their sleeves to raise awareness and funds to fight poverty in Africa and Asia. The family tries to come up with creative ways to raise funds. In addition to making bookmarks, Adeel has started setting up 50/50 draws for parents at the local hockey rink. Ashif fondly recalls the most recent 50/50 draw: the winner said the funds she won would pay her grocery bill, while the other 50 percent would go to families in need elsewhere in the world. Supporting good causes can be one of the roots of your family tree: sign up to volunteer for the World Partnership Walk in your city this June.